2.9% APR FINANCING UP TO 60 MONTHS AVAILABLE TO QUALIFIED BUYERS THRU TOYOTA FINANCIAL SERVICES. TOTAL FINANCED CANNOT EXCEED MSRP PLUS OPTIONS, TAX, TITLE, LICENSE AND DEALER FEES. 60 MONTHLY PAYMENTS OF $17.92 FOR EACH $1000 BORROWED. NOT ALL BUYERS WILL QUALIFY. OFFER MAY NOT BE COMBINED WITH OTHER OFFERS UNLESS SPECIFIED OTHERWISE. DEALER FEES ARE EXTRA. VEHICLE SHOWN MAY BE PROTOTYPE AND/OR SHOWN WITH OPTIONS. ACTUAL MODEL MAY VARY. DELIVERY MUST BE TAKEN FROM DEALER STOCK BY 4/30/19 AND IS SUBJECT TO AVAILABILITY. Offer Details If you are a student who will graduate from college in the next six months or have graduated in the past two years, you may be eligible for Toyota's College Graduate Rebate Program. You may also be eligible if you are enrolled in or have graduated from a graduate program, have completed a two-year post secondary automotive program accredited by the NATEF or have completed an electrician certification program through NJATC and the IBEW.Can be combined 1/3/2019 New Car Deals | Local Toyota Deals, Incentives & Special Offers https://www.toyota.com/local-specials/#mobile-disclaimer 2/2 with other Toyota Special offers!Toyota Financial Services College Graduate Program is available on approved credit through participating Toyota dealer and Toyota Financial Services. Not all applicants will qualify. 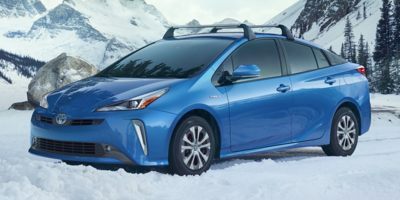 Incentive offered by Toyota Motor Sales, U.S.A., Inc. On lease contracts, incentive must be applied toward the Amount Due at Lease Signing or toward the Capitalized Cost Reduction. On finance contracts, incentive must be applied toward the Down Payment. One incentive per finance or lease transaction. Not compatible with the Toyota Military Incentive Program. Incentive available on contracts executed through February 4, 2019. College Graduate Program is subject to change or termination at any time. Some restrictions may apply. SEE DEALER FOR DETAILS.Program may not be available in all states. On eligible finance contracts with terms up to 60 months (up to 72 months for Camrys) first payment may be deferred for first 90 days on eligible new Toyota vehicles; finance charges accrue from contract date. Deferred payment not available in Pennsylvania or in connection with the preferred option financial plan. Covers normal factory scheduled service. Plan is 2 years or 25K miles, whichever comes first. The new vehicle cannot be part of a rental or commercial fleet, or a livery/taxi vehicle. See participating Toyota dealer for plan details. Valid only in the continental U.S. and Alaska. Roadside Assistance does not include parts and fluids. Prius Plug-in Hybrid comes with an extra year of roadside assistance, for a total of three (3) years from date of purchase. Offer Details You must meet all of these conditions: Be in current active duty status in the U.S. Military (Navy, Army, Air Force, Marines, National Guard, Coast Guard and active Reserve) OR a U.S. Military inactive reserves (i.e., Ready Reserves) that are part of the Individual Ready Reserve, Selected Reserve and Inactive National Guard; OR A Military retiree within two years of retirement or honorably discharged veteran of the U.S. Military within two year of their honorable discharge 1/3/2019 New Car Deals | Local Toyota Deals, Incentives & Special Offers https://www.toyota.com/local-specials/#mobile-disclaimer 2/2 date; OR a Household member* of an eligible U.S. Military personnel; AND Provide verifiable proof of military status or active service at the time of purchase in the form of one of the following documentations: Leave and Earning Statement Military Identification Card Veterans/Retirees DD Form-214 Receive a salary sufficient to cover ordinary living expenses and payments for your Toyota Be credit approved by TFS. *Household member(s):- Household and/or family member of the qualified Military personnel living at the same address as the qualified Military personnel. An eligible service member and his or her household may reside in permanent or temporary housing.- Gold star family members are family members of a fallen hero(s) and are also considered as household and/or family member and are eligible for this program.